splurge. vs. save. | pining. for. pineapples. - bitte.und.danke. Speaking of pineapples, they also appear to be serving as the inspiration behind Kate Spade's June arrivals. From a pineapple clutch to earrings, KSNY is clearly pining for pineapples just as much as I am. 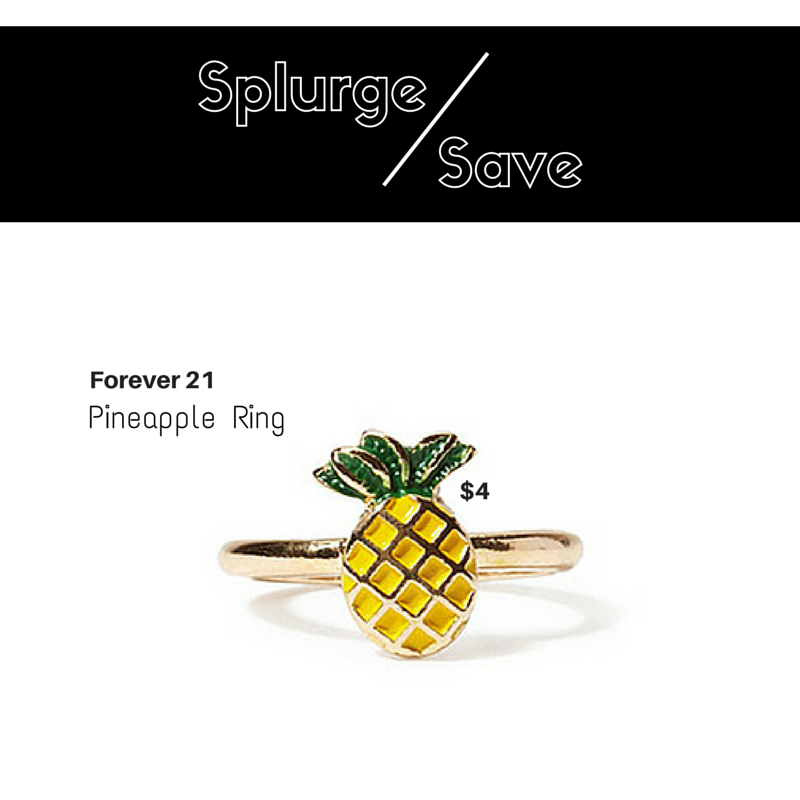 Coincidentally enough, I purchased my F21 pineapple ring before discovering that pineapples were having a major sartorial moment over at Kate Spade. How adorable is this pineapple pendant? Although it's a bit of a splurge, KSNY quality never disappoints. (I have a Kate Spade bow ring and it's pretty much a regular fixation in my wardrobe.) I can already imagine the endless ways that the "Anyway You Slice It" pendant could be styled... with a pretty white eyelet dress, a chambray button-down, a palm tree printed top... need I go on? Are you as obsessed with pineapples as I am? Would you splurge or save (or both)? Let me know in the comments below!